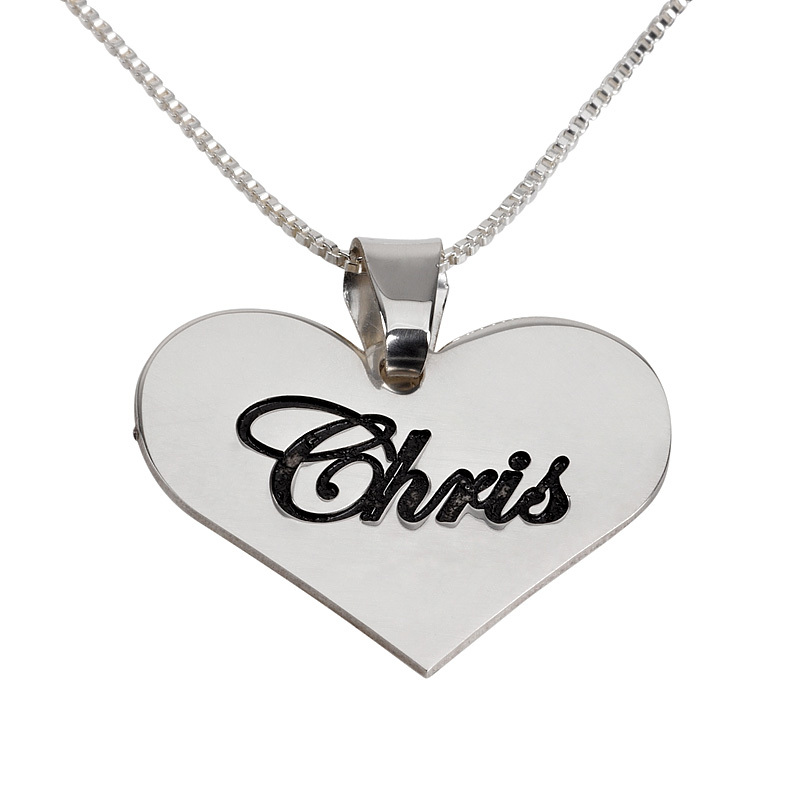 Express yourself with this outstanding item of customized name jewelry. Featuring a heart and the name of your choice, this is a name necklace that will make the perfect gift to tell someone special exactly how you feel about them. Jewelry has long been a vehicle to express feelings and emotions. This name necklace allows you to do so in an incredibly personal way. The concept is simple and effective, combining the name of your choice with a heart as the ultimate symbol of love. The heart is a fulsome and rounded shape. At its center is your chosen name, which is etched carefully into the heart in an elegant rounded calligraphy. The result is a name necklace that exudes heartfelt affection for someone special. However, it is not only the design that makes this piece of customized jewelry stand out. This is a name necklace that is forged from quality sterling silver, ensuring that this is a stylish item on every level. It is finished off with a silver loop clasp, which attaches the pendant to a silver chain. It really is the perfect pendant for your loved one. Height of pendant: 26mm / 1.02"